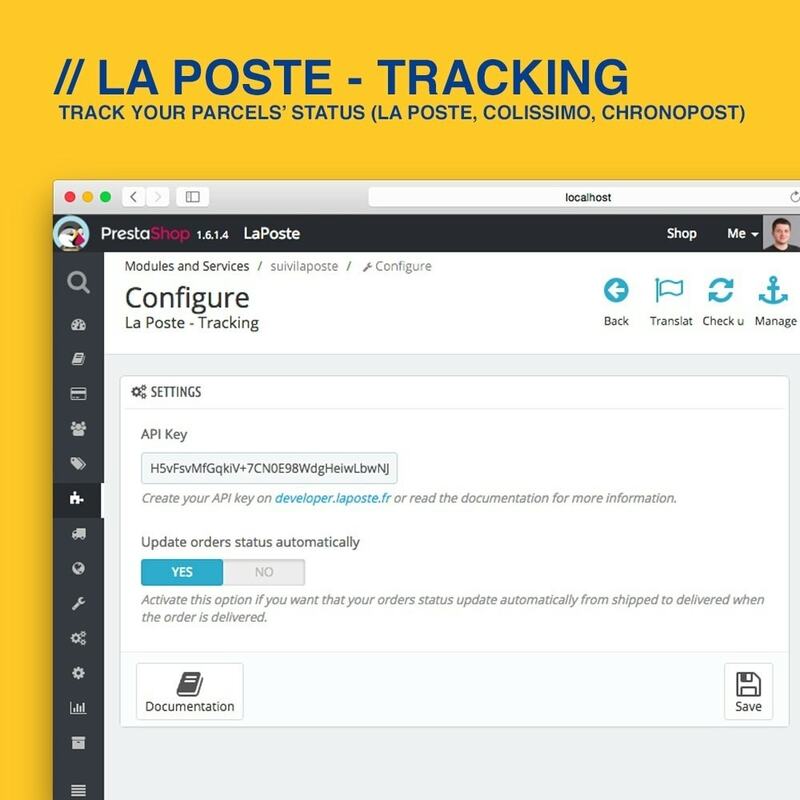 Track your La Poste & Chronopost parcels’ status including Colissimo, letters, registered letters… and automatically change your orders’ status once they’re delivered. 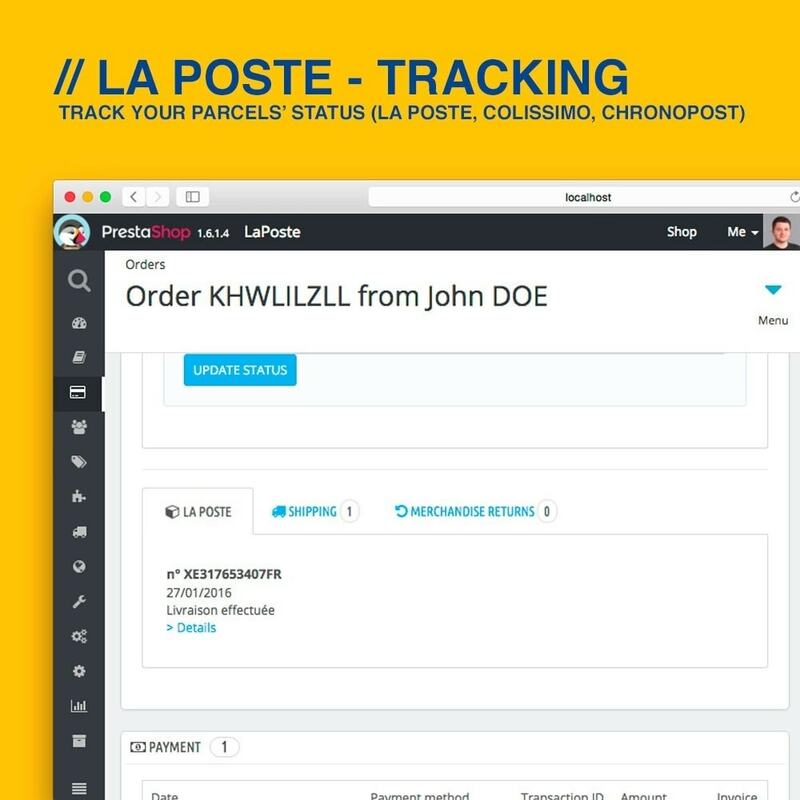 The module works with all your tracked parcels sent with La Poste (Colissimo…) and also Chronopost. You will be able to track your parcels in real-time from your back-office and for each and every order placed in your shop. You will save time using this module : it will allow you to automatically change your orders’ status. Once the module knows that your parcel is delivered, it will change your order’s status giving it the mention « Delivered ». Everything will be simpler for you as you will know in real-time the status of you orders. 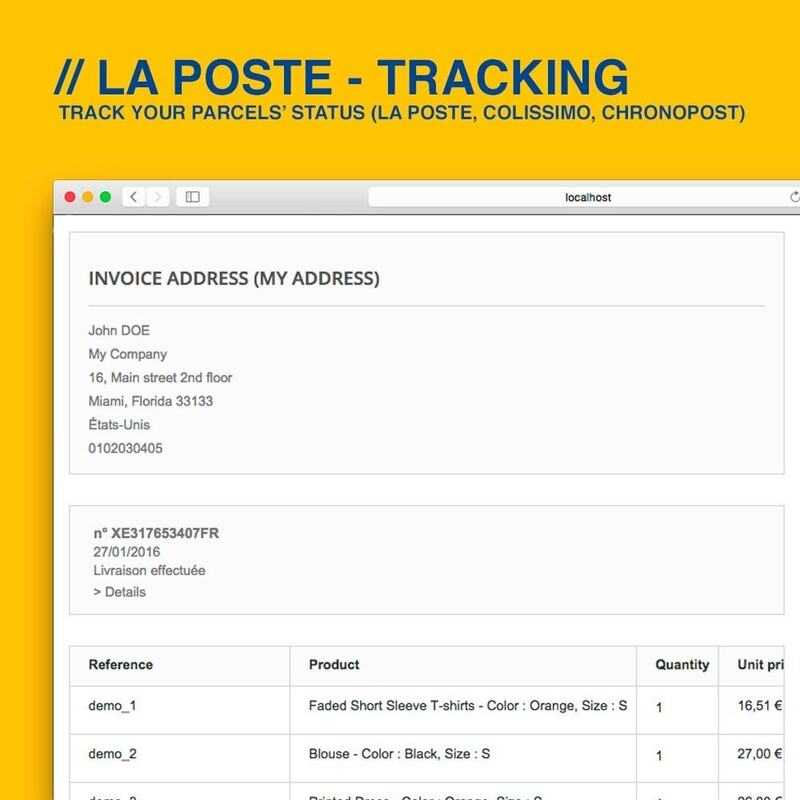 This module automatically detects the orders sent with La Poste and Chronopost thanks to its unique algorythm and it displays the parcels’ status in your back-office. 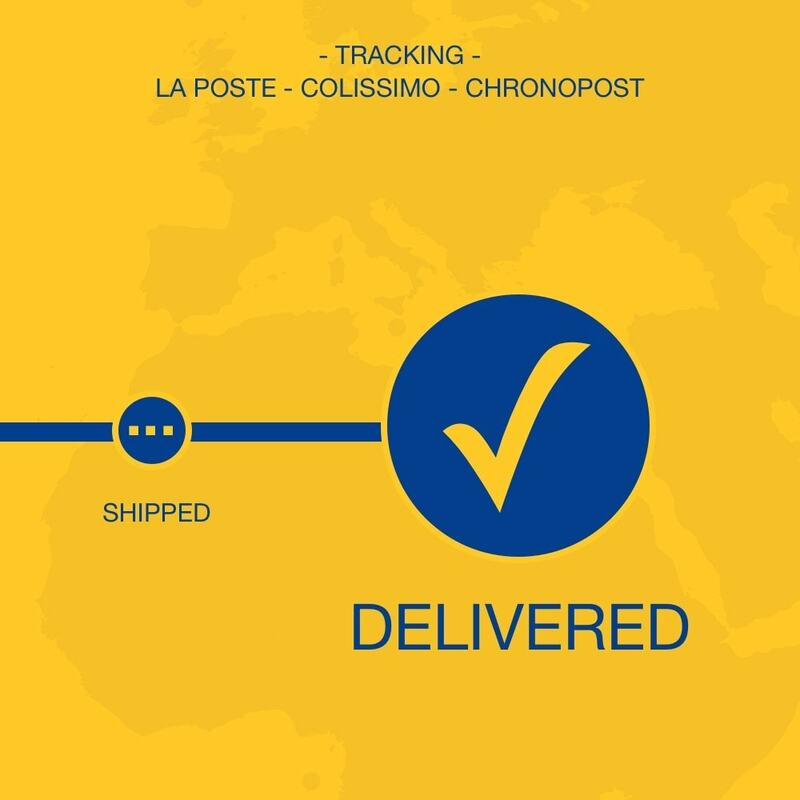 You will get official information from La Poste and Chronopost for each parcel. You won’t need to suscribe or activate any paid service to make this module work. You won’t need to use any specific software either. It’s simple and efficient ! Also designed to make your customers’ life easier, your orders’ status is displayed in their order history. With this module, they will easily notice where their parcel are. They won’t need to visit La Poste or Chronopost’s official websites anymore. Buying this module will help you increase the user experience in your shop so that every customer gets the information he needs about his orders all at one place : your website.